Mary Ann has a had a long history of low back pain and radiating leg pain that went into her hamstring. She suffered with this pain for a couple years and tried multiple forms of therapy including chiropractic services and acupuncture. They helped but never totally got rid of the pain or the problem. She had trouble walking her dog and participating in recreational activities like yoga and sailing. She came to see Amanda and within 3-4 weeks her pain was subsiding. Amanda focused on her strength and improving her mobility through therapeutic massage, dry needling and core stabilization exercises. Mary Ann was a good patient, motivated and did her home exercises. Within 3 months she was back to her hobbies without any pain. She is continuing to progress her total body strength, participating in functional training classes at Olympia Fitness and Performance without any limitations. She is doing great and has no pain! 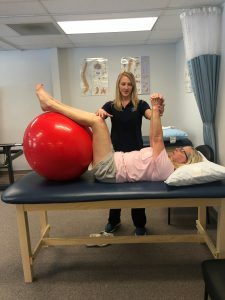 Here is Mary Ann working with Amanda in physical therapy to increase her core stability. 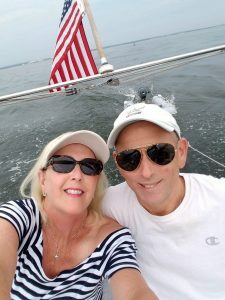 She is back sailing with her husband Randy. I was referred to Specialized Orthopedic Physical Therapy by my husband. I had been having chronic low back and hamstring pain for quite some time. I was seeing a Chiropractor, massage therapist and acupuncturist for almost two years with little relief so I decided to make an appointment to see Amanda at SOPT in North Kingstown. After a thorough evaluation Amanda told me what my problem was. With many weeks of “hands on” treatment and patiently teaching me proper form, I can honestly say I have no pain in my back and I feel so much stronger!! I can’t say enough about the treatment I received with SOPT. 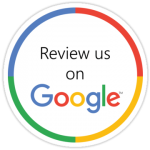 The staff is always courteous and friendly, not to mention professional. I highly recommend Specialized Orthopedic Physical Therapy. I will never go anywhere else if I need PT in the future.